Home » What is SPF? Skin is the largest organ in the human body, and so we need to protect it in harsh sunlight adequately. We have all seen the letters SPF on the side of our sunscreen bottles but what does it actually mean? Sunscreen is one of the essential skin protectors available, but people tend to only apply it on the sunniest of summer days or trips to the beach. This article will explore SPF and will show you why you should incorporate a decent sunscreen into your everyday skincare routine. SPF (or Sun Protection Factor) is the rating system for how long you can safely be in the sun before you begin to burn. It depends on many factors including your skin type, and how intense is the sun, so remember to only take it as a guideline. Most people think that the higher SPF you apply, the least likely you are to burn. However, this isn’t strictly true. The easiest way to work out what SPF actually does is if your skin burns after 10 minutes and you apply a sunscreen with an SPF of 30, you won’t burn for approximately 300 minutes. In other words, the amount of time before you begin to burn increases by a factor of 30. When purchasing sunscreen, you also need to consider its UVA and UVB protection ratings. These are the two harmful sun rays that can genuinely do damage to your skin. UVA rays help you tan but also contribute to sunburn, premature ageing and wrinkles. UVB rays are the dangerous rays which cause sunburn and can lead to skin cancer through overexposure. Any sunscreen with SPF 30+ will adequately protect you from damage from UVB rays. It is essential to also look at the UVA rating when buying sunscreen. Any sunscreen sold in the EU is required to have its UVA rating out of five stars displayed in a circle on the bottle. For the best protection, make sure you buy a sunscreen with 4 or 5 stars. Combine a high SPF with a good UVA protection rating for the best all-around protection. You may need to adapt your sunscreen for your activity or location. SPF 30 may protect you on an average day in the UK, but if you work outside, it is recommended that you wear something with a little more defence. If you are travelling to a warmer climate or heading to somewhere with a high altitude, you also need to invest in a sunscreen with a higher SPF. Should you have a procedure like Dermapen, chemical peel or microdermabrasion then you should definitely step up your SPF to at least 50. Here at Harley Street MD, we advocate for everyone wearing an SPF 50+ sunscreen every day. Not only will it protect you from sunburn, but it will also slow down UV damage to your skin and help delay the ageing process. We also offer Sun Protection treatment. Once a day is not enough; you need to reapply your sunscreen every few hours and immediately after swimming, even if you have used a water-resistant screen. People also tend to under-apply their sunscreen. 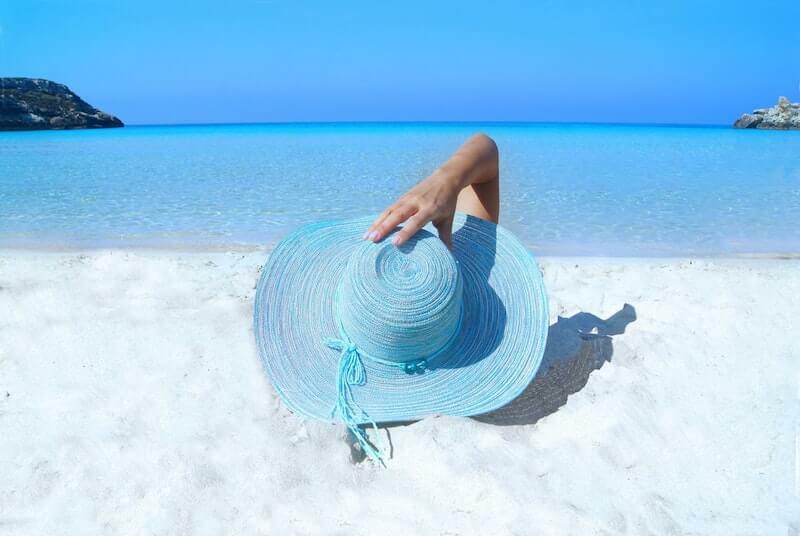 The NHS recommends applying approximately two teaspoons of sunscreen for your head, arms and neck, and two tablespoons if you need to cover your whole body while wearing a swimsuit. Find a formula that works for you. Sunscreens nowadays are available in lotion, spray, and gel form. If you like the protection one brand offers but not the way it feels on your skin, look to see if they do the same product in a different form. Remember that you can still be exposed to UV rays even if it is a cloudy day. You should always wear a sunscreen with at least SPF 30 if you wish to avoid prolonged UV exposure. On sunny days, also remember to cover up well and try to stay out of the sun when it is at its hottest. You may be surprised to learn about the number of products in your everyday skincare routine which have an SPF in them. Moisturisers and foundations often have an SPF within a range of 5 to 20. Even specific brands of body lotion have a small amount of SPF in them so you may be protected without realising. However, if you want a little more protection, apply sunscreen after your lotion and moisturiser but before your makeup. Using a high SPF sunscreen can leave the skin feeling greasy and can block the pores on your face, causing acne or blackheads. There are many great products available on the market that combine a high SPF with good quality skincare. Brands like ZO Skin Health, Heliocare, or Obagi have ranges with SPF 30, 50 and 90 factored in. These companies also offer cosmetic options, combining protection from the sun’s rays with products like primers and BB creams. No matter how much makeup you wear, there will be available a product for you that not only makes your skin look great, but also gives you the protection you need to combat sun damage. This also helps to avoid the greasiness that some sunscreens can create on the face, which can feel uncomfortable and put you off applying it! Oily sunscreens can also clog pores and increase the risk of breakouts, so don’t skimp when it comes to getting it right.